Copernicus Publications recently launched its full-text HTML workflow and optimized the ADGEO website for mobile devices. Thereby, the user experience is significantly enhanced when reading ADGEO articles. In cooperation with the TIB|AV-Portal ADGEO authors can now add short, citable video abstracts and video supplements to their articles. Advances in Geosciences (ADGEO) has become a member of the Committee on Publication Ethics (COPE) and thereby subscribes to the principles of COPE. The ADGEO website has been given a new look, and the navigation has been adjusted. 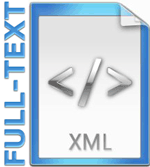 Advances in Geosciences (ADGEO) has started an XML-first workflow and will provide all new articles in full-text XML from now on. ADGEO has implemented publication ethics in order to guarantee high scientific and ethical standards. ADGEO has just published its new data policy.